Opera singer, Deena Nicklefork, is a dramatic soprano who is starting to make her splash on the international stage. Having performed across Europe and Canada, she is also trained as a classical pianist. With a passion for teaching both voice lessons and piano, Deena has three rules inside of her studio: 1) You must not use the word ‘can’t’. 2) You must not apologize for mistakes. 3) You must try your best. Deena was one of the first people to graduate from Briercrest College with a degree in Operatic Performance. She went on to study opera abroad and has worked with various teachers in Italy, France and Austria. She has a working knowledge of 10 languages and acting training as well. Deena loves to help a student find the passion and reason for performing a song. With piano, Deena has her grade 8 RCM and has played since she was 7 years old. Deena believes that there is a firm co-relation between music and confidence. Many parents in the past have expressed their gratitude about how their children seem to have more confidence since taking lessons with her. Deena is an encouraging, motivating presence that is high energy and passionate about what she does. Each lesson will be created around each student. Some thrive with more structure, while others work better in a free-flowing environment. Each student is unique and Deena believes that it is important to structure lessons so that each student will thrive. 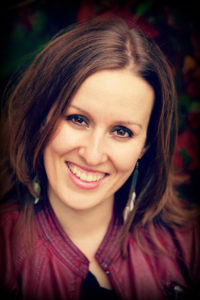 Every student will receive a firm theory foundation as well as proper technique – whether it be piano or voice lessons.Though Deena shines when teaching classical (both with vocal and piano), she loves teaching multiple styles. She is completely comfortable teaching beginners to more advanced students and is always up for any challenge. Though Deena shines when teaching classical (both with vocal and piano), she loves teaching multiple styles. She is completely comfortable teaching beginners to more advanced students and is always up for any challenge. Deena believes that everyone can learn how to sing or play the piano. She feels that it is important to enhance the beauty that is already within everyone’s unique voices, through using a proper technique. She teaches technique from a classical stand point but aims to maintain the style that each student is excited about. Within voice lessons, she not only focuses on technique but also on performance practices and the meaning and emotion behind each song that is studied. Deena spent the summer in Vancouver, performing multiple roles in Dvorak’s opera Rusalka. Throughout the next season, Deena will be singing lead roles in La Clemenza di Tito by Mozart, Der Rosenkavalier by Richard Strauss and the title role in Puccini’s masterpiece, Madama Butterfly.